As a Roman Catholic of Irish descent, I am, quite predictably, a big fan of St. Patrick. Long before I became Catholic, St. Patrick - with his bishop's mitre and crozier - stood there beckoning me home to the Church of my forebears. 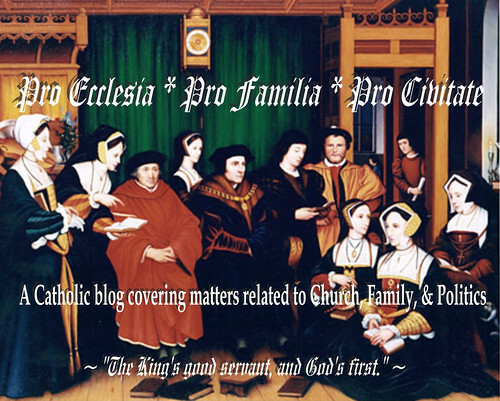 Indeed, the first rosary I ever purchased (again, before I ever became Catholic) had a St. Patrick junction and a Celtic Cross Crucifix. St. Patrick's feast day, therefore, is a cause for great celebration in our household. But just what is it about this British-born saint - who (1) was kidnapped as a boy from his home in Britain by Irish pirates, (2) was sold into slavery in Ireland, (3) escaped from his Irish oppressors, and (4) returned to Ireland to evangelize his former captors (the same Irish who would, a century later, with saints like Columba and Aidan, re-evangelize Britain after the Anglo-Saxon invasions) - that makes his feast day celebrated to a greater extent around the world than most other saints? Perhaps it is because of the extent of the Irish Diaspora, which stretches from Continental Europe to North America to South America to Australia, and numbers in the tens of millions - making St. Patrick not only the patron saint of Ireland, but of all Irish all over the world. 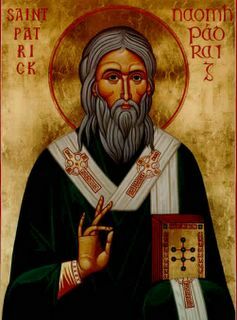 Possibly, it could be St. Patrick's contribution to Celtic Christianity, an influence that can be seen in the Lorica of St. Patrick, which has been attributed to him. 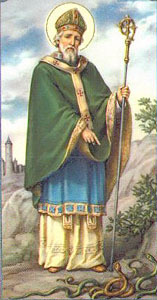 and here: Catholic Online - St. Patrick. 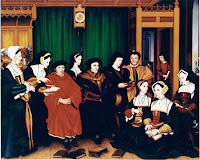 But unfortunately, I think the real reason this particular feast day has such resonance with so many people has nothing whatsoever to do with its religious significance. St. Patrick's Day, like Christmas, is a religious feast day that has lost much of its meaning due to over-secularization. 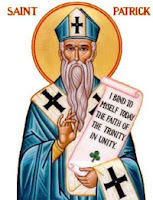 Rather than a day to celebrate the life of this great British saint who evangelized the Irish, St. Patrick's Day has become just another excuse to get drunk and tell stupid Irish jokes. Personally, one of the biggest problems I have with the secular celebrations of St. Patrick's Day is the ubiquitous presence of the leprechaun. On and around St. Patrick's Day, this little fairy creature can be seen on the front pages of major newspapers, on greeting cards, and on televisions selling used cars, credit cards, and beer in a cheesy Irish brogue accent. Given the artistic legacy of beautiful music, poetry, literature, and liturgical art bequeathed to us by the Irish; given the indispensable contributions the Irish have made to Christianity and Western Civilization as documented by Thomas Cahill in his best-selling book How the Irish Saved Civilization; and given the steadfastness of the Irish in overcoming historical persecution - racial, cultural, economic, and religious; I find the use of the leprechaun on St. Patrick's Day as a symbol of the Irish people and their cultural contributions about as appropriate as a lawn jockey on Martin Luther King Day. Some will think that is not an apt comparison. Sorry, but I think it quite apt. The leprechaun as a symbol of this holy feast day is just plain offensive, and should go the way of the kerchief-headed version of Aunt Jemima. The Irish - that mystical race of warriors and poets, saints and scholars, who brought us great works of literature like Ulysses and Gulliver's Travels, early medieval illuminated manuscripts like the Books of Kells and Durrow, musicians like Turlough O'Carolan, Altan, U2 and Van Morrison, wordsmiths like W.B. Yeats and Seamus Heaney, kings like Brian Boru and ... (well, Brian's about it as far as great Irish kings go), political heroes like Daniel O'Connell and Michael Collins, and saints like Columcille (a.k.a. Columba), Brendan, Aidan, and Columbanus - deserve better on the feast day of their patron saint than to be represented by a short, ruddy (and might I add, pagan) fairy dressed in a green suit. 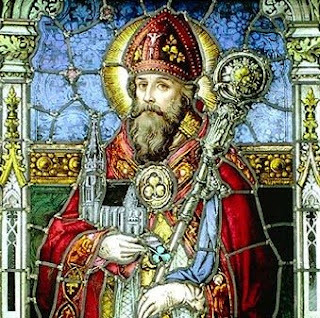 Hopefully, we can try to keep in mind today (1) the spiritual legacy of Ireland's patron saint, and (2) the many cultural contributions of the people he loved so dearly as to bring them the Light of Christ - which are, after all, the primary reasons we celebrate the feast of St. Patrick. Even if the rest of the world is too deep in a drunken stupor to notice. "... The Slur of the Fighting Irish"